We are happy to welcome our administrators to their new positions! Dr. Stephen Nellman, previously the Director of Student Services, is our new Assistant Superintendent of Human Resources. Next, Dr. Howard Ho, previously an Associate Principal at Leuzinger High School, is the new Director of Student Services. Both of these educators have a long record of success at each stage of their careers in Centinela Valley, and we have great confidence that they will continue that record of excellence in their new positions. 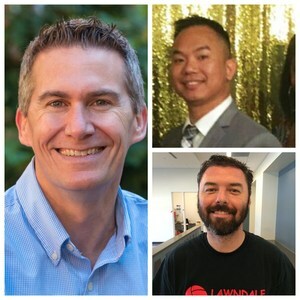 Additionally, Ben Wardrop, previously an Associate Principal at Lawndale High School, has been appointed as the Principal of Lloyde High School, CVISS, and the Adult School. This is a big responsibility that combines the work previously performed by two administrators. We know Mr. Wardrop will be a success in his new position due to his experience, passion, and energy.